Used since ancient times for baking and fermentation. The most widely used model organism among the fungi. 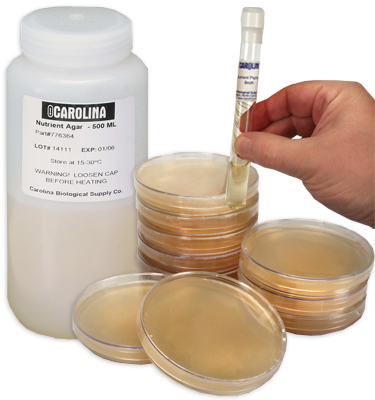 Optimal growth medium is yeast malt agar; optimal growth temperature is 30° C. MicroKwik Culture® is a Carolina trademark for freeze-dried, viable fungi with medium. Each culture comes with instructions for rehydration. Since MicroKwik Cultures can be stored under refrigeration, they can be ordered ahead of time for use on short notice. Note: Each MicroKwik Culture® comes with 5 mL of rehydration medium.